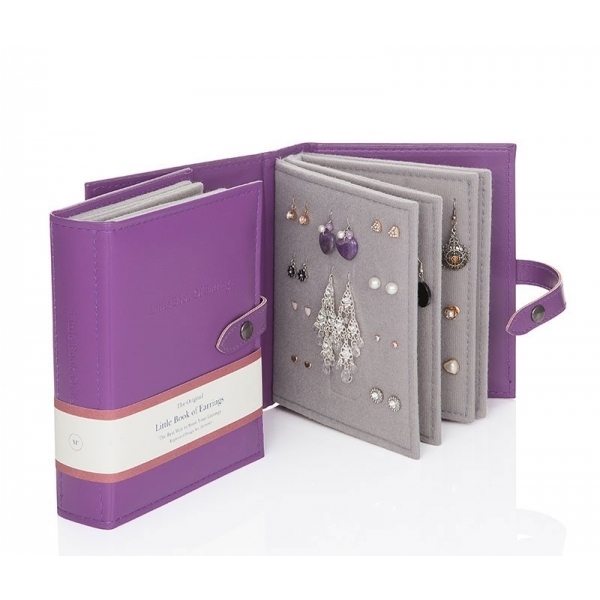 The perfect jewellery storage solution, this Little Book Of Earrings in Purple will help you keep your earrings safe and secure, whether you are at home or on your travels. Elegant and practical, it is designed to look like a book and holds up to 48 pairs of earrings. The cover has a faux leather appearance with 4 softly padded pages inside and a convenient popper fastener. This indispensable little book will ensure you never lose your earrings again and would make a wonderful gift.